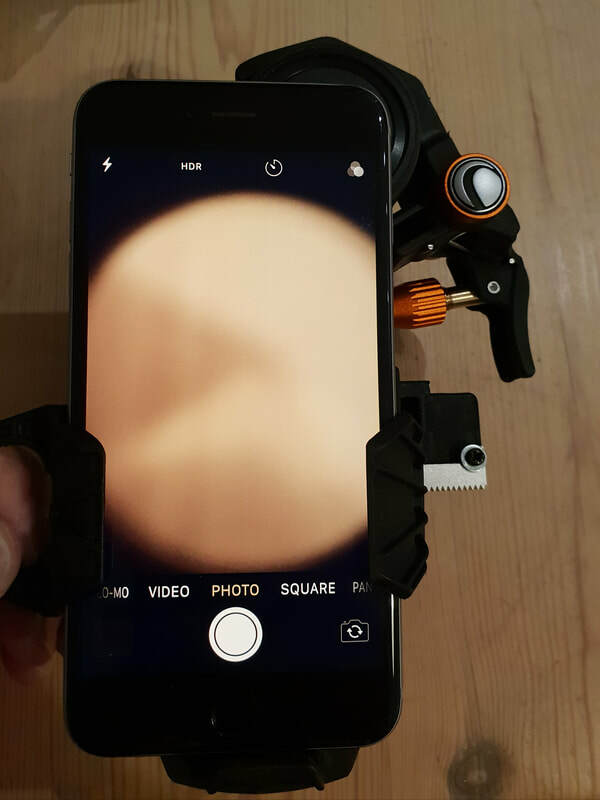 This is a brief review of the Orion SteadyPix EZ Smartphone Telescope Photo Adapter, see link here. 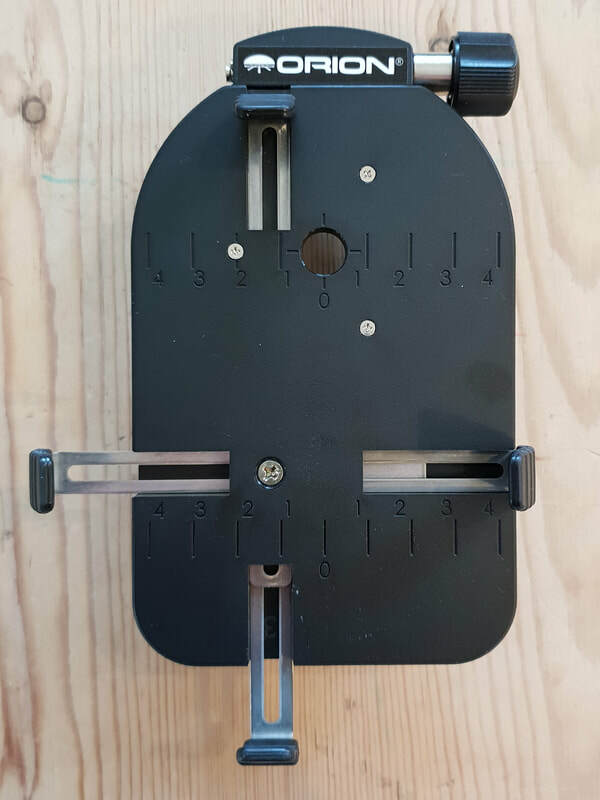 This is similar to the Televue Fonemate mount, but with the ability to attach to a wide range of different eyepieces via the three pronged clamping mechanism. 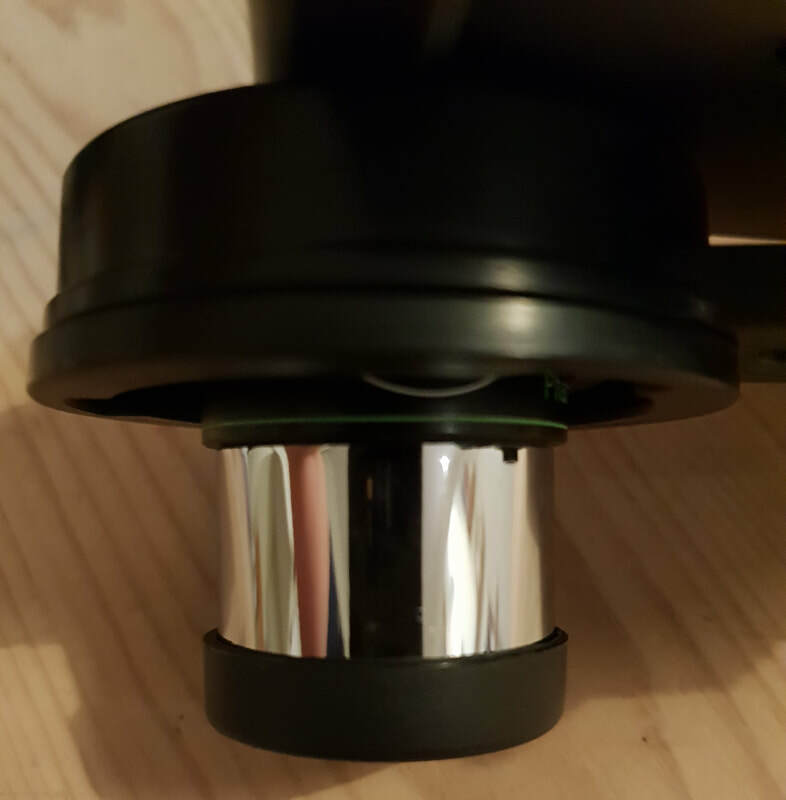 The prongs are adjusted via the thumb wheel on the top of the mount, and have the benefit of centreing the eyepiece on the hole so that you don't have to worry of getting things aligned, at least from the eyepiece perspective. 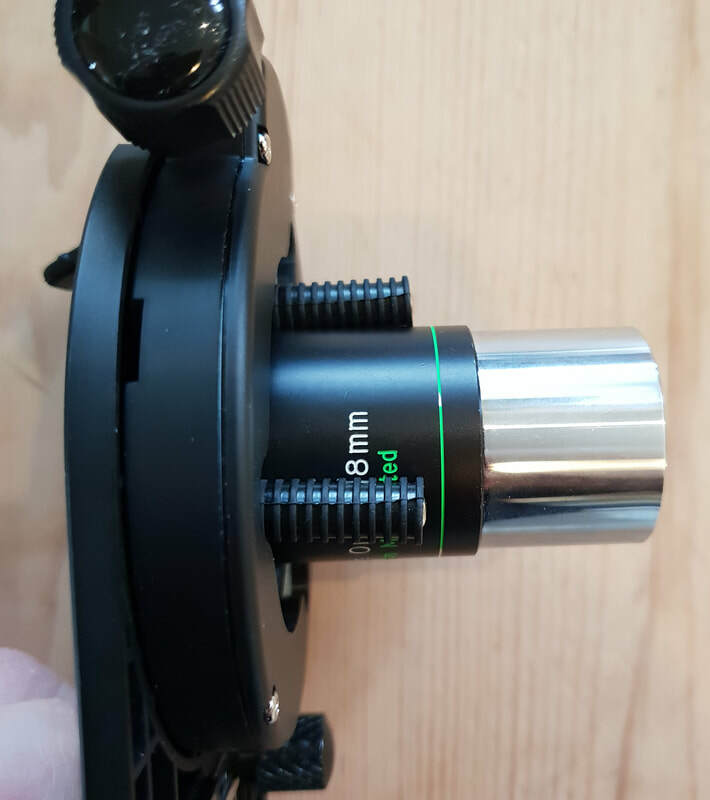 It seems to work well on straight sided eyepieces; it suited my Baader Genuine Orthos well, but also coped with a 24mm Panoptic. 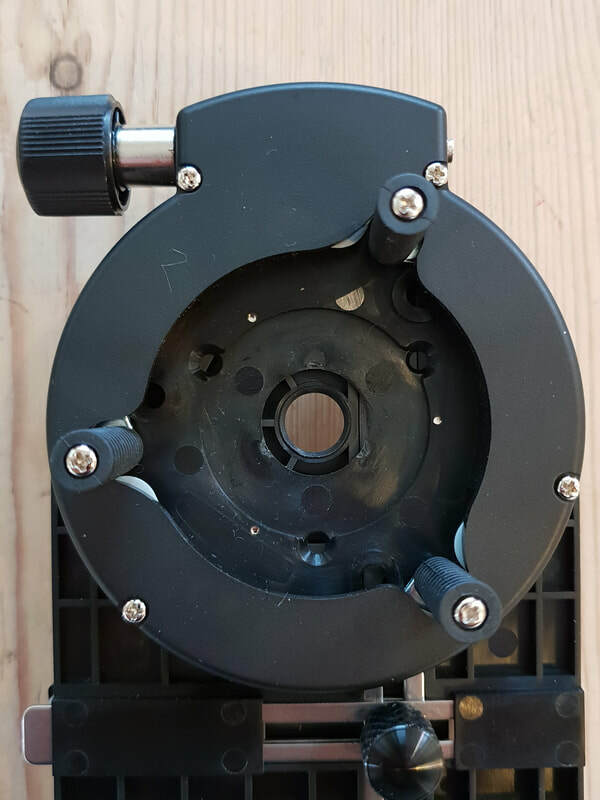 It does not appear to fit any of my larger 2" eyepieces; it will clamp around the top part where the eyeguard attaches but sits away from the eyepiece so will likely crop the outer parts of the field of view. Further testing required to check this out. 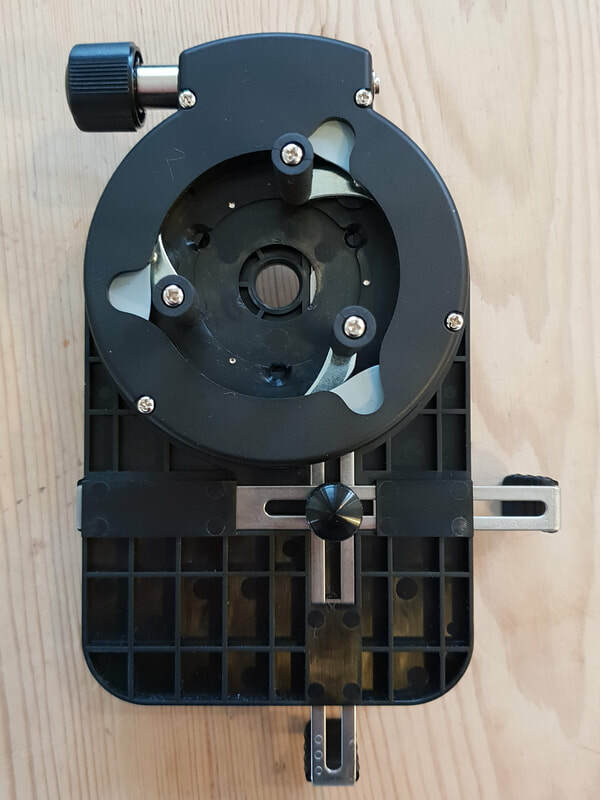 The phone clamping mechanism is very good, and with a wide range of adjustment. It manages to cope with my iPhone 6 Plus easily, even though the camera is tucked away in the top corner. 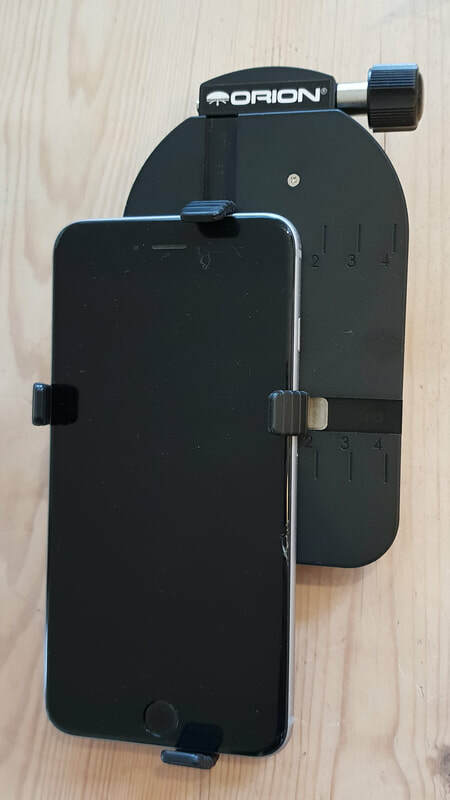 Two self adhesive rubber strips supplied with the mount can be applied to the flat mounting surface and this really does improve the grip, holding the phone more tightly against the clamps. 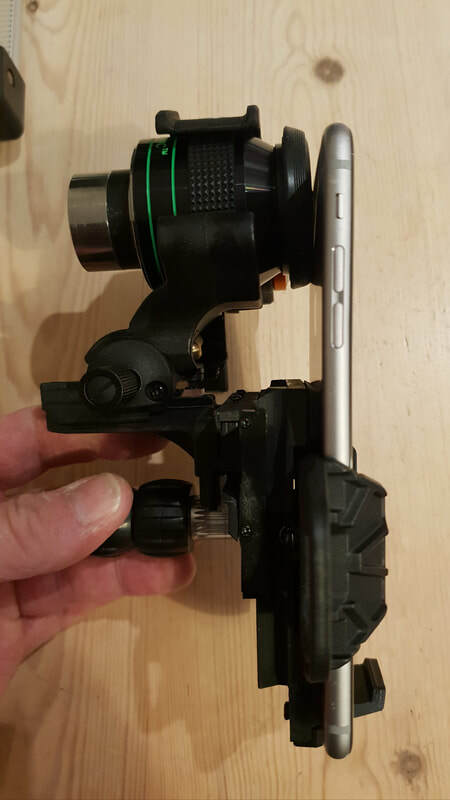 In practise the mount was very easy to use, I had no problems even when my scope mount was slewing around the sky and turning the eyepiece upside down, the phone stayed put. 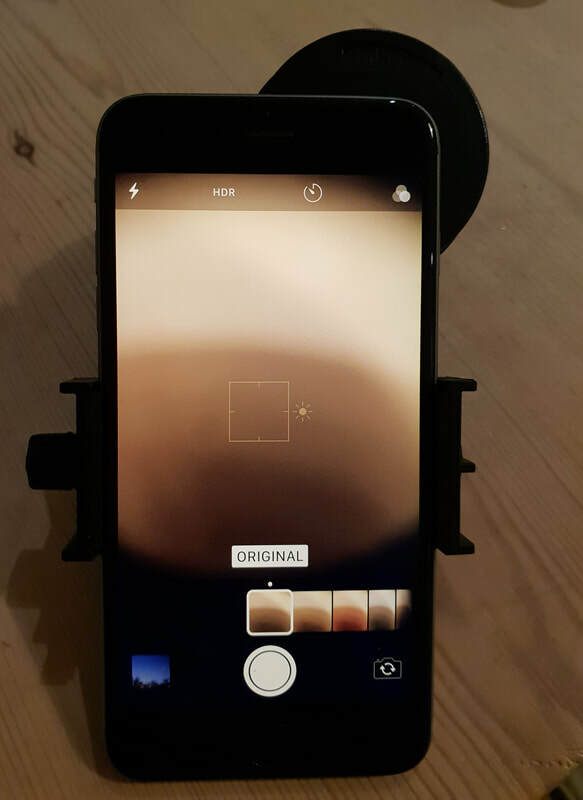 Images taken with it can be seen in the Deep Sky section of the Smartphone Imaging page. 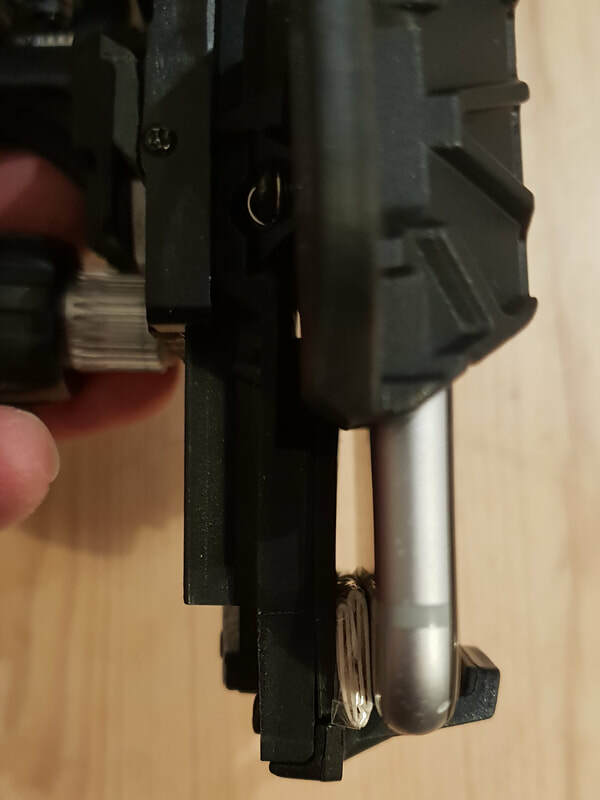 Not the cheapest option, but it does seem to work very well. 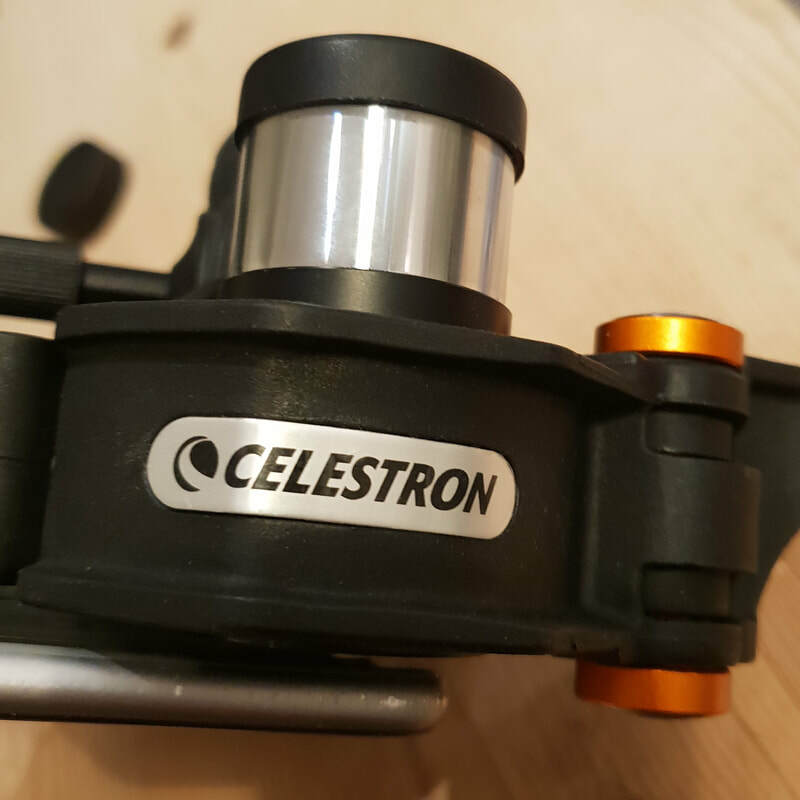 I'll put some notes up about some of the other options soon too, including the Celestron NeXYZ which is another popular one. 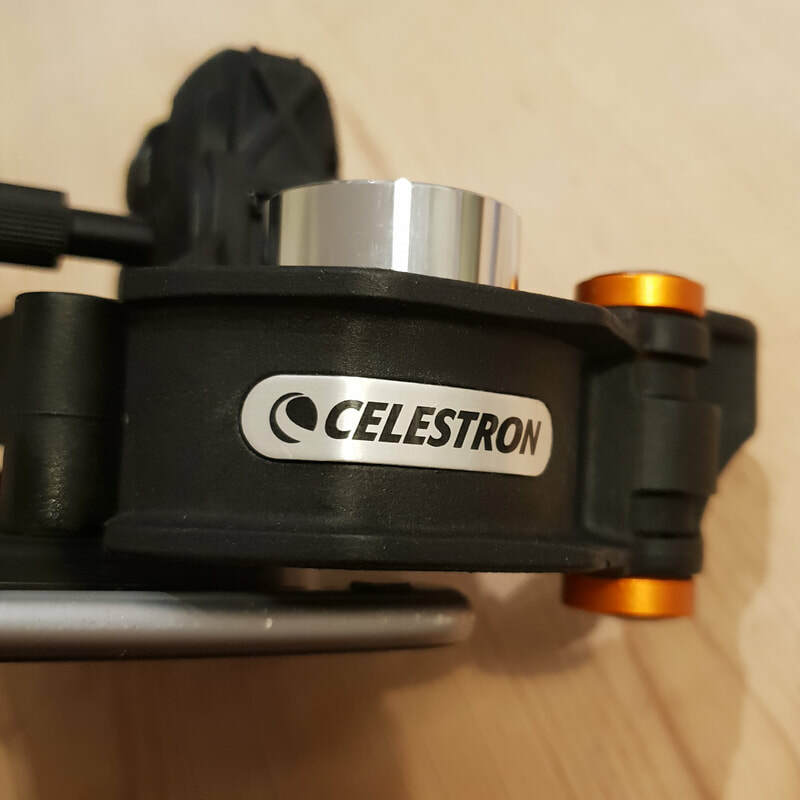 Following on from the mini review of the Orion Steadypix smartphone mount, I've taken a bunch of images of the Celestron NeXYZ mount to show how it works and below is another mini review of it so you can see what I found. I'm still in two minds about this mount. In many ways it is almost perfect in terms of the range of adjustment, but certain elements let it down. There is some flex in the design, and in certain positions it doesn't keep the phone perpendicular to the eyepiece which is a little frustrating. There are ways around this (by packing out behind the bottom of the phone as shown in one image) but that shouldn't have to be the case. 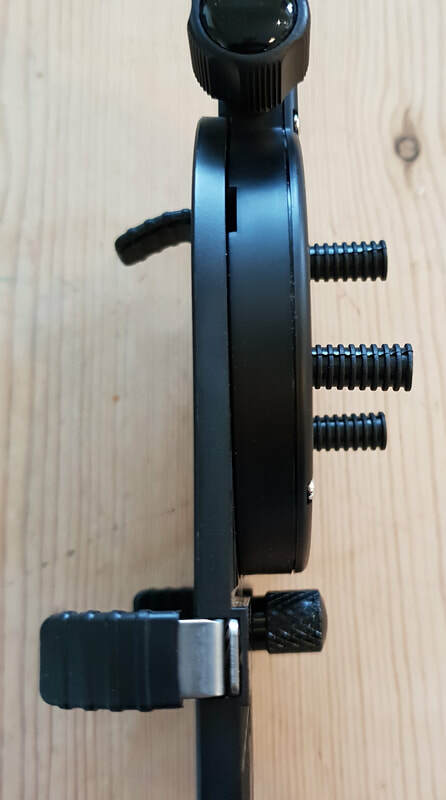 My mount was quite loose in its adjustment when I received it, so I found out that you can tighten it up with some of the very small screws positioned on each of the axes. I can highlight these if anyone has similar issues. 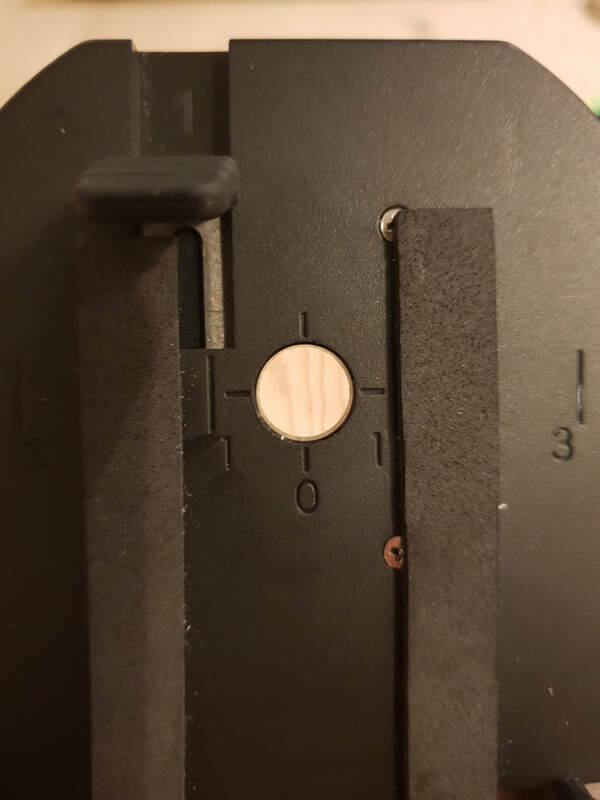 The adjustment range is very flexible, and as in the name you can move the phone in the X, Y and Z axes. 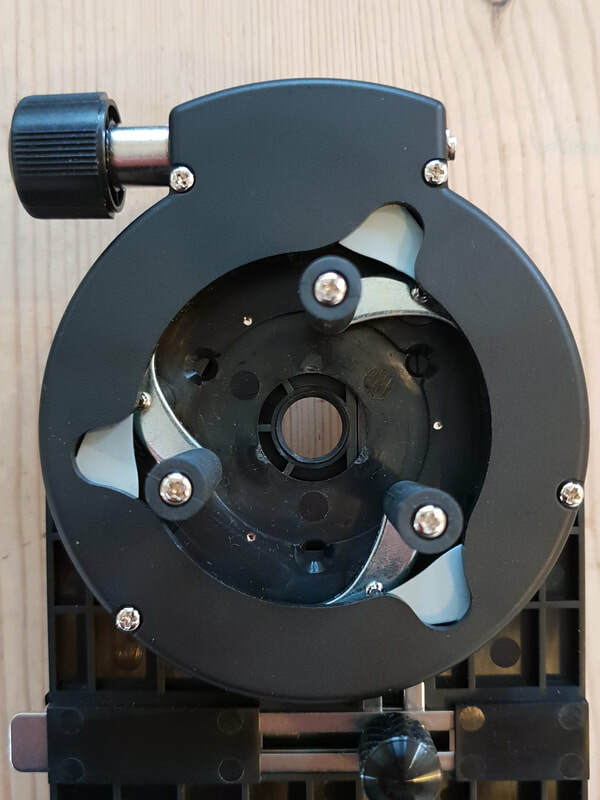 X and Y are adjusted by two black ribbed thumbwheels positioned on the same axle, a convenient arrangement although I can never remember which is which. 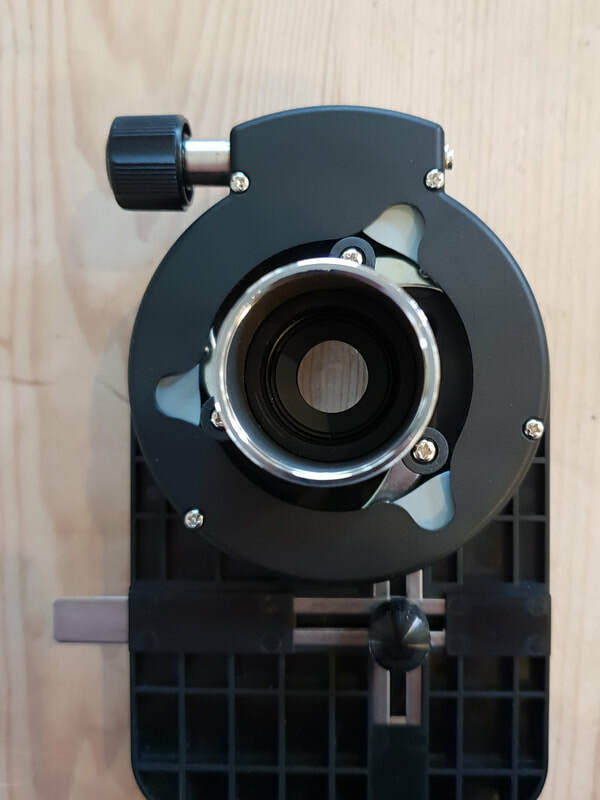 The Z axis is adjusted by a separate, smaller black knob on the other side of the mount. 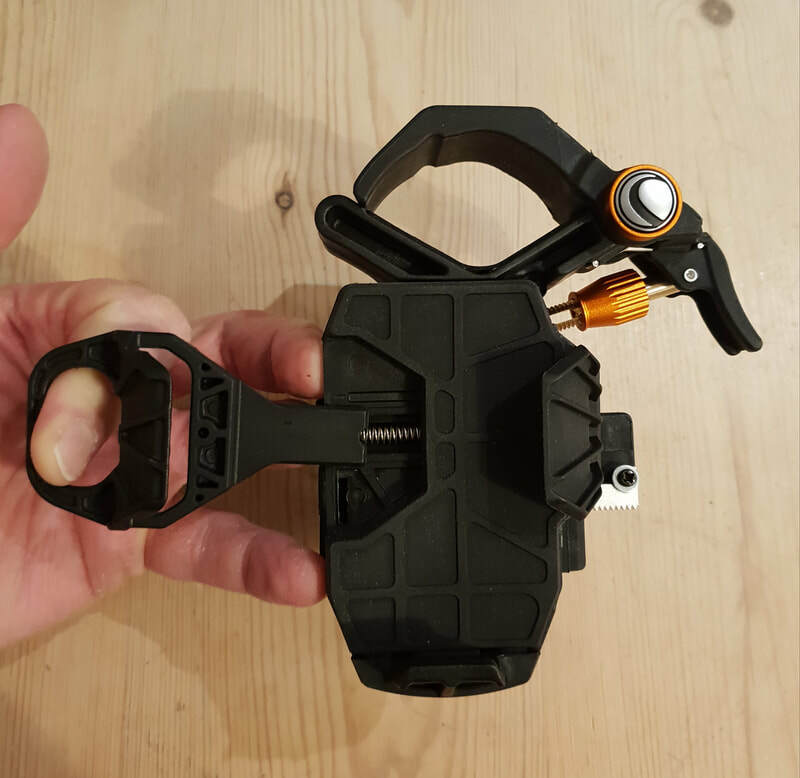 At the top end of the adjustment ie nearer the eyepiece, the mechanism does tend to knock into the eyepiece holding parts of the mount, but there are ways around this and you can always seem to get the phone where you need it. 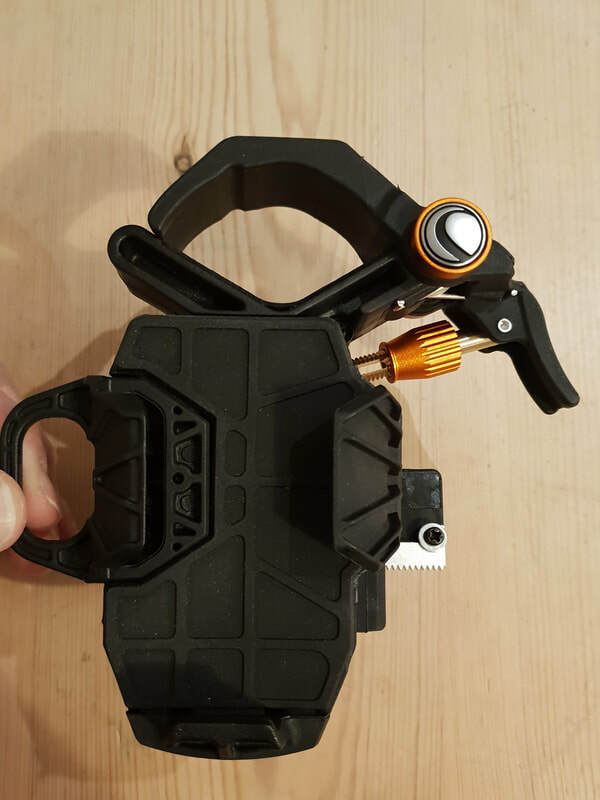 The phone mount itself is very simple, there is a single sliding clamp which you pull out to allow you to put the phone in position and when releases it holds the phone very securely onto its rubberized back. 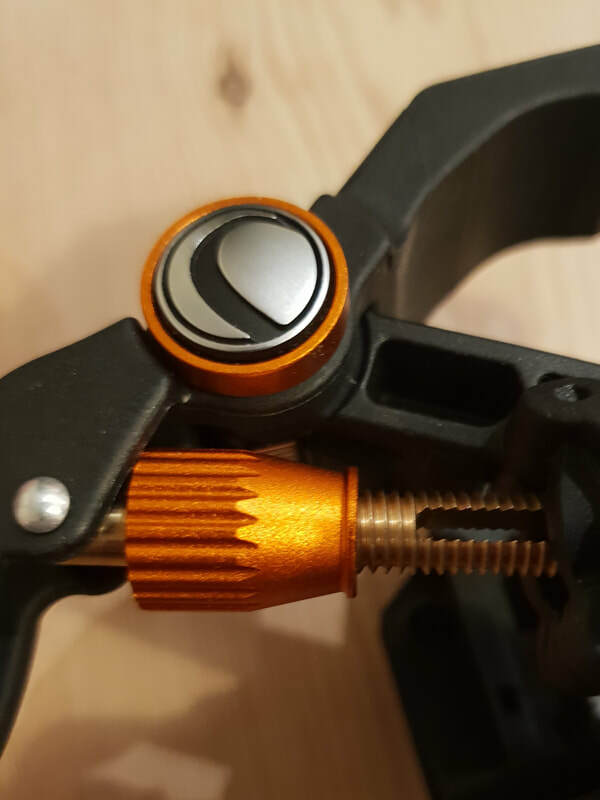 To clamp an eyepiece, you loosen the orange locking nut, squeeze the handle to open the clamp, put the eyepiece in place and release the handle. 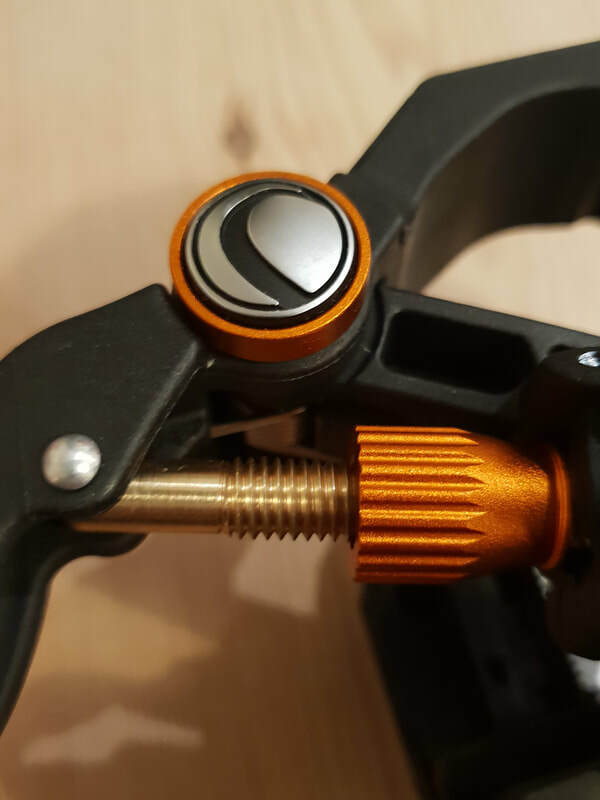 You then tighten down the orange locking nut until the clamp holds the eyepiece securely. 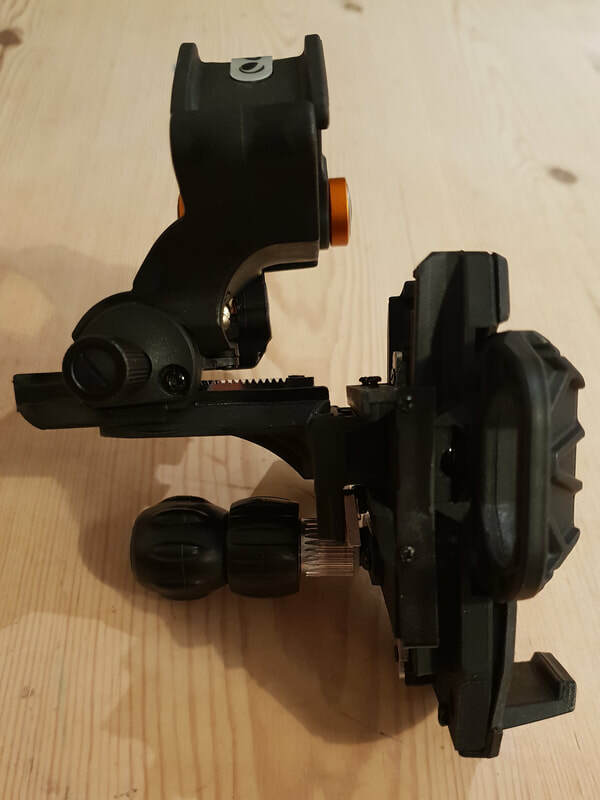 I tried the mount with a variety of eyepieces that I own. 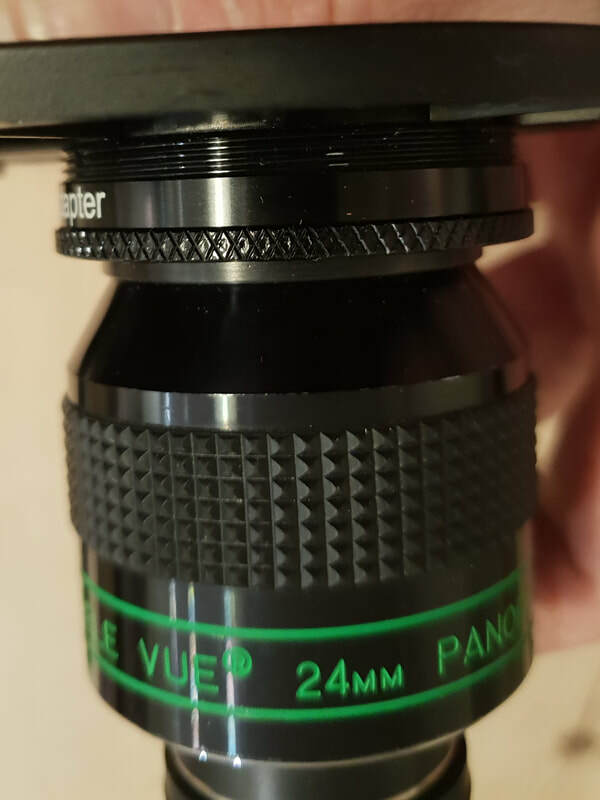 Baader Genuine Orthos in various focal lengths which are straight sided and tend to clamp quite well. 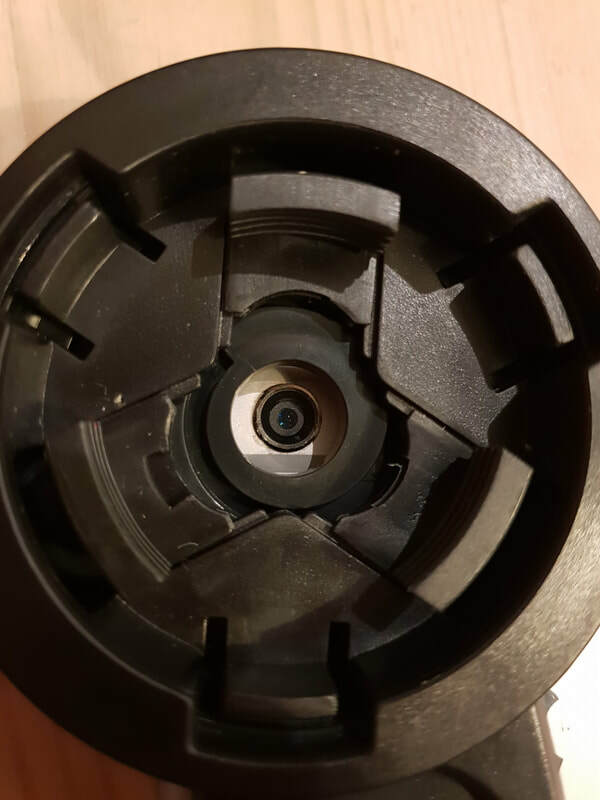 The 18mm worked very well, but I found that the smaller eyepieces just aren't big enough to leave enough barrel to be securely held in the scope diagonal. 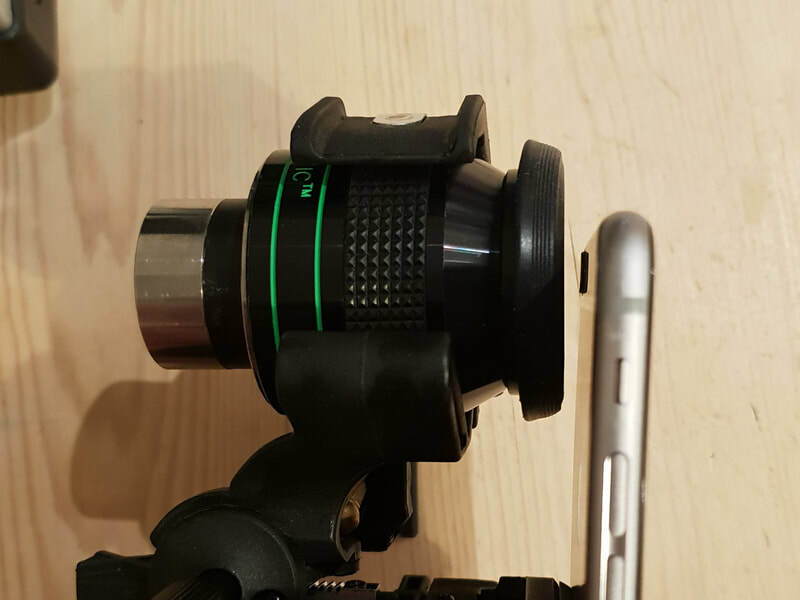 These eyepieces have short eye relief so the phone needs to be mounted close to the exit lens, and this is tricky for these eyepieces. I this the best bet would probably be to stick with the 12.5 or 18mm and use a Barlow if needed to get to higher powers. The 24mm Panoptic is bigger but still clamped very easily and securely. No problems at all with this one. 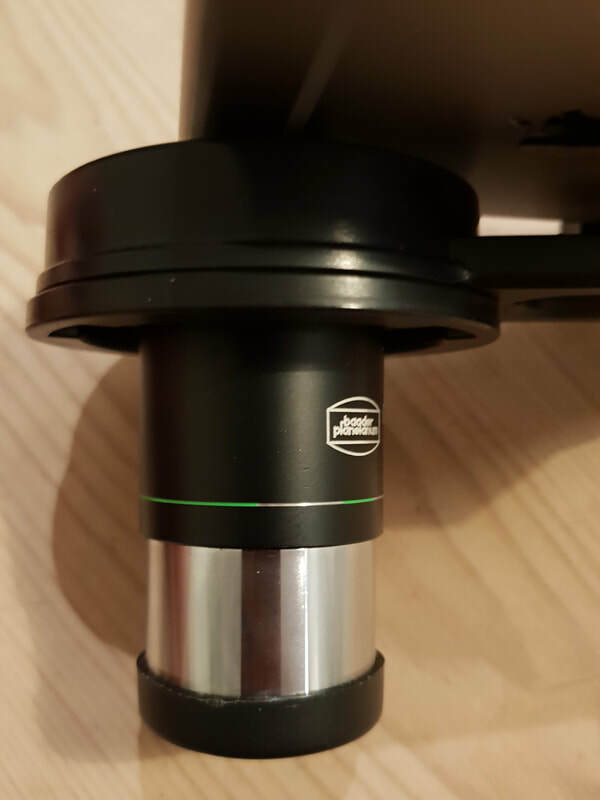 Finally onto the larger 2" eyepieces, and with my APM 20mm 100 degree, the main barrel is just too big to fit into the clamp even at its widest. 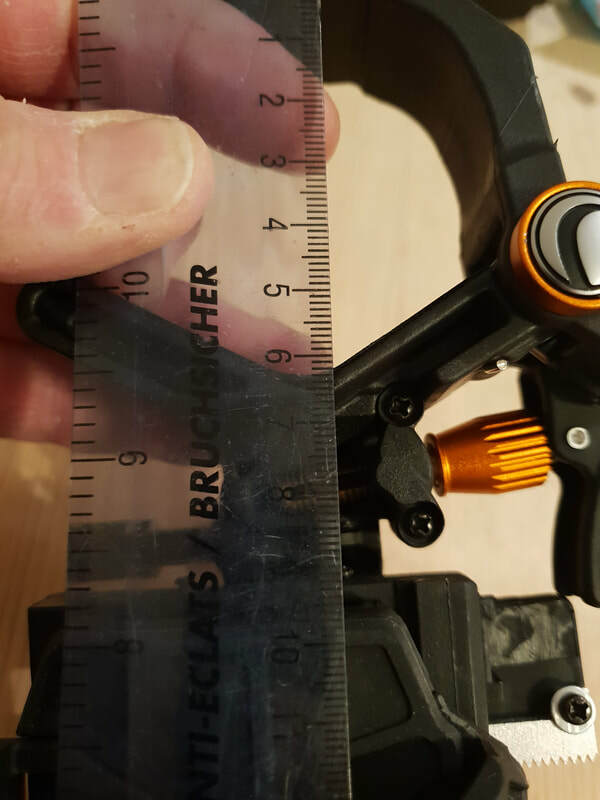 A rough measurement puts this at around 64mm. 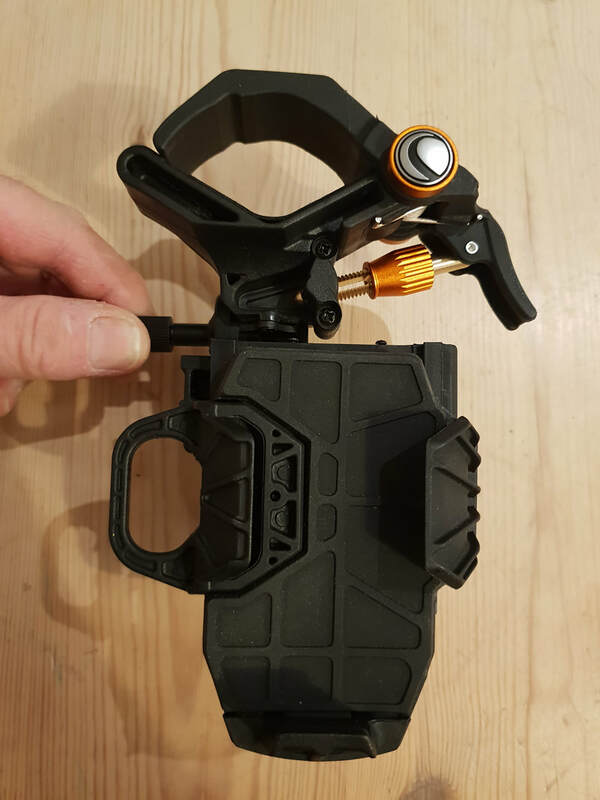 The only option here is to remove the rubber eyeguard and clamp onto the metal rim underneath. 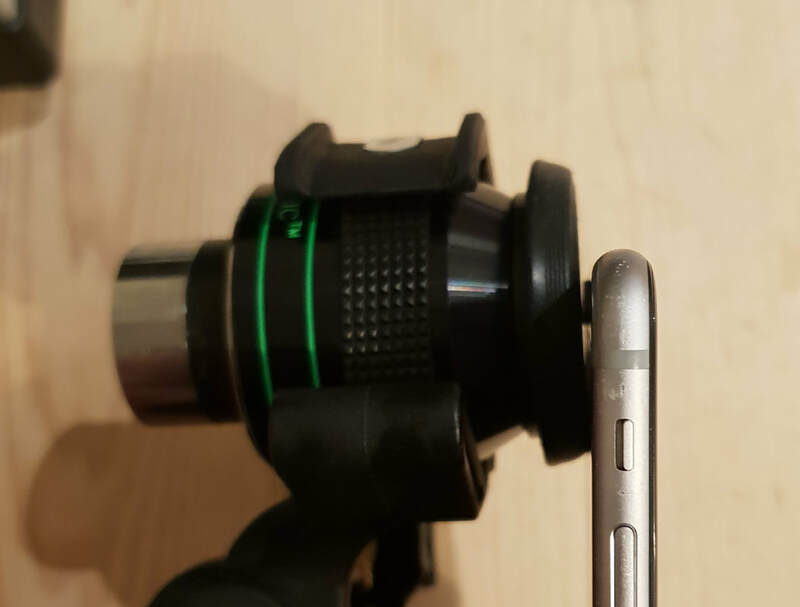 This proves to be quite secure, but does leave the phone quite a long way from the eyepiece. 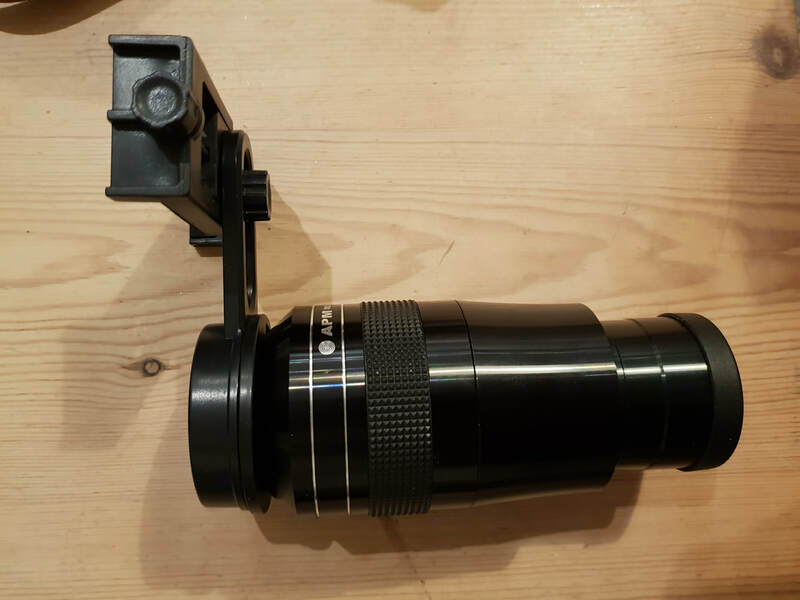 In all honesty I haven't tried this combination in the scope, so it may work, or it may lead to a reduced field of view. I will check sometimes soon. 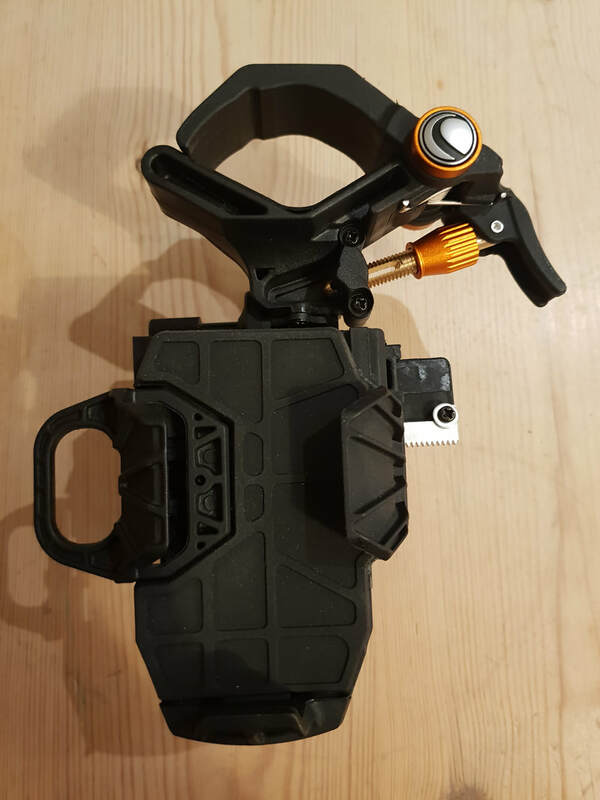 Apologies for the mountain of images, hopefully they show the range of movement and how the mount works with different eyepieces. Let me know if you have any questions and feel free to add your own views if you own this mount too. 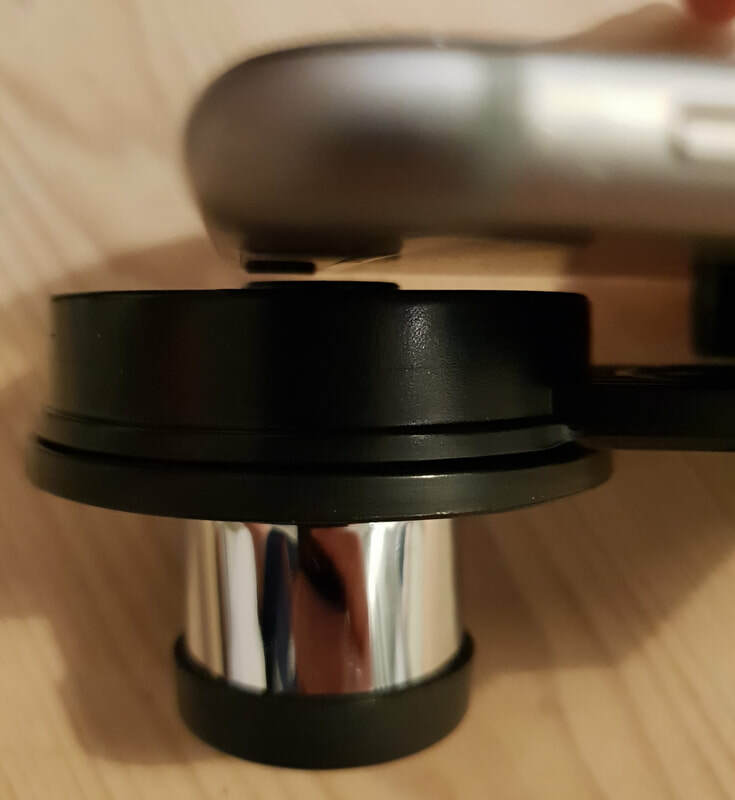 ​So, next up on the review table, part 3 of my quick, and somewhat unintended guide to smartphone mounts . 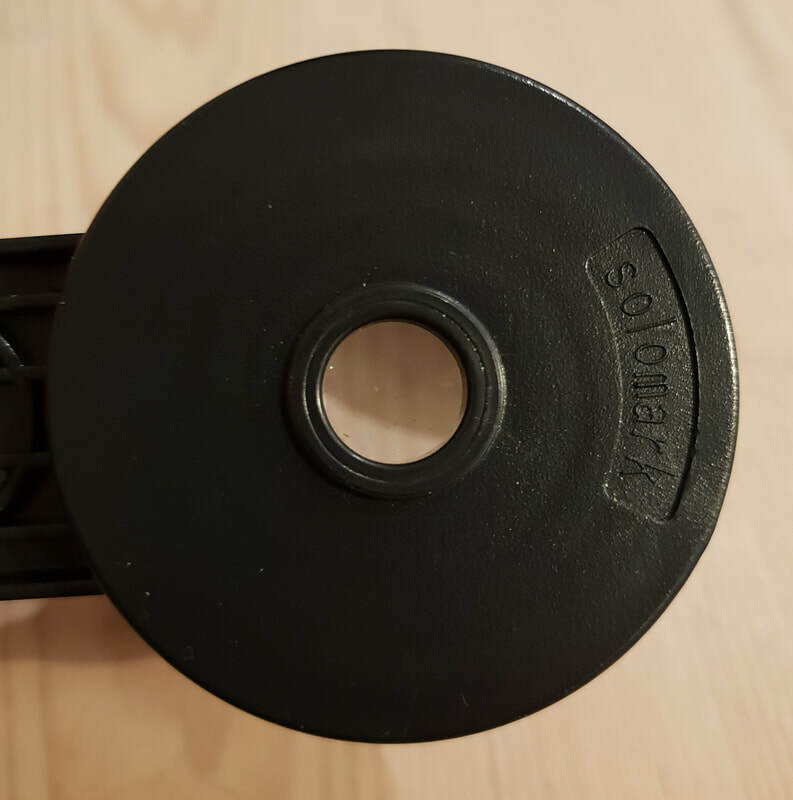 After the high end of the Orion Steadypix and the Celestron NeXYZ, I found this Solomark entry level mount in my bits box and thought I would try it out again (I think it was my first mount some years ago). This one is advertised at $12.99 in the link so may not still be available, but it gives a good idea of what is available at low cost. You do need to be careful though with other designs as they may have weaknesses that are not obvious. Make sure you can return it if you buy new. 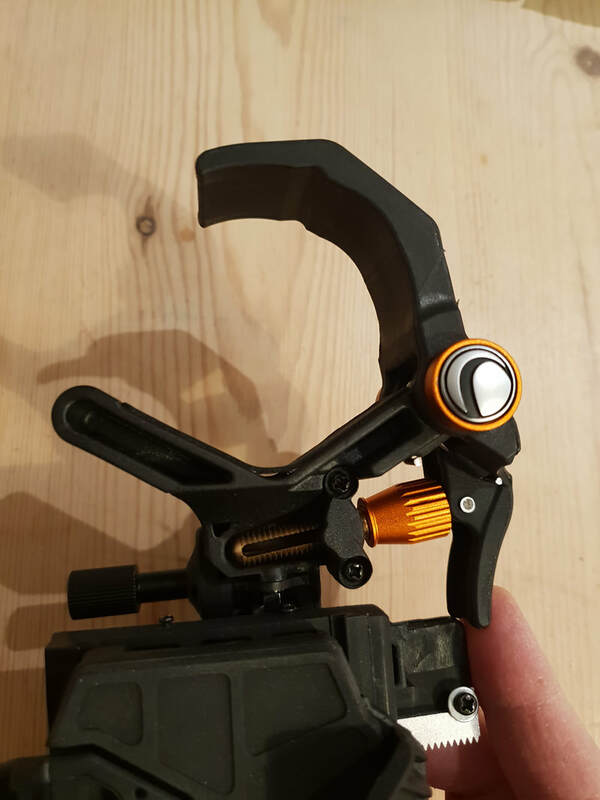 It looks cheap and feels light in the hand, but is plenty rigid enough and is well made given the price. 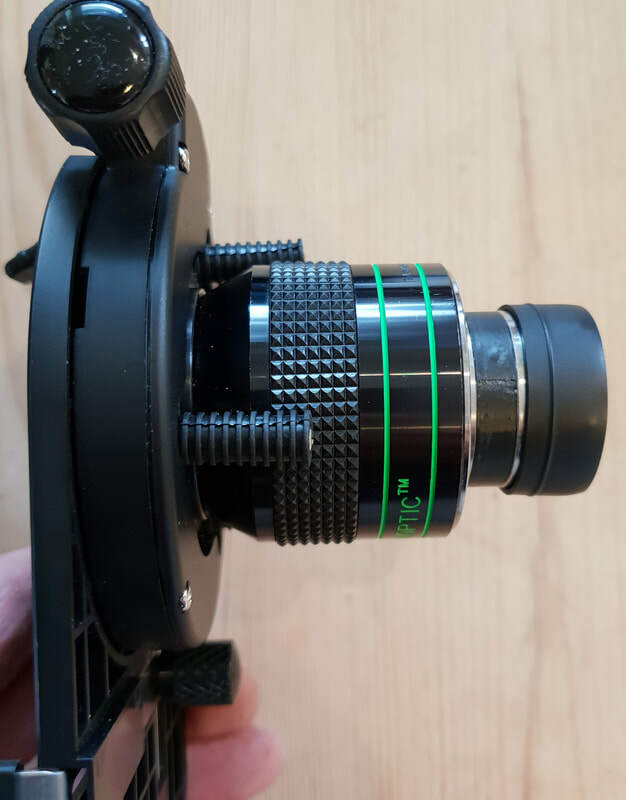 The eyepiece holding mechanism is a self centring type, adjusted by rotating the outer rim. 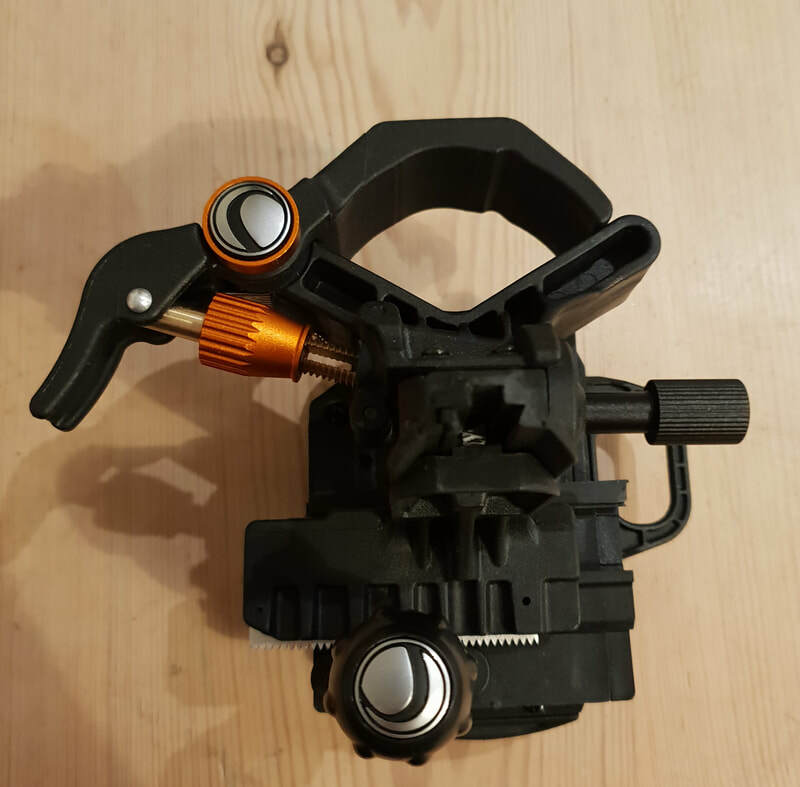 This moves three grippers in and out which can then hold a range of eyepieces. 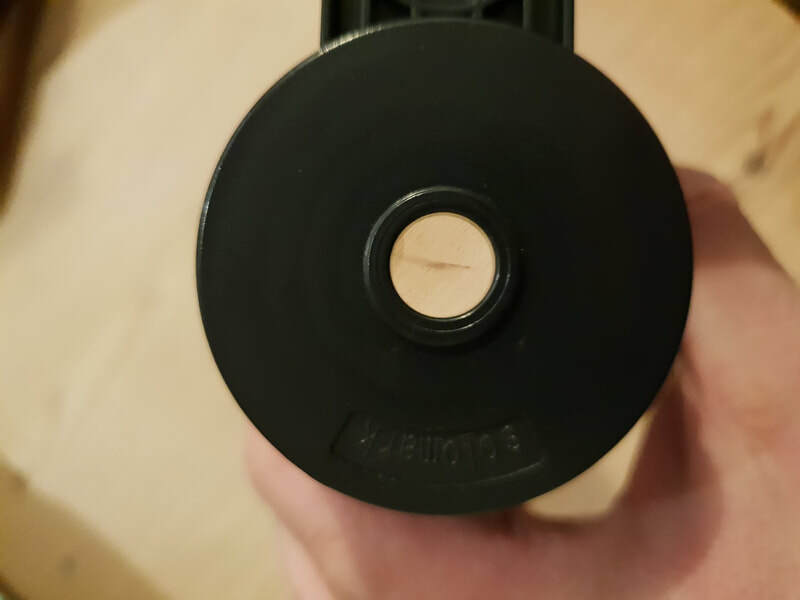 I initially thought it would be limited to 1.25", but by removing the eyeguard from my 20mm APM 100 degree eyepiece it gripped on perfectly well to the top rim. Orthos down to the smallest size were held very securely, and without obstructing the barrel, and my 24mm Panoptic also fitted snuggly. This was quite a surprise, and somehow showed that the complexity of the NeXYZ might be overkill to a degree. 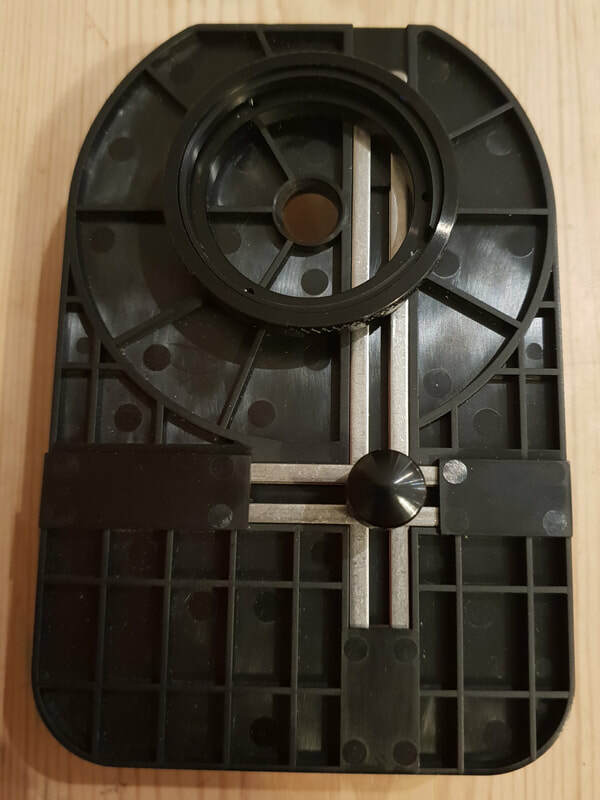 Moving on to the phone holding element, the clamp opens via a thumb wheel driving a finely threaded rod. The movement is quite slow but effective. 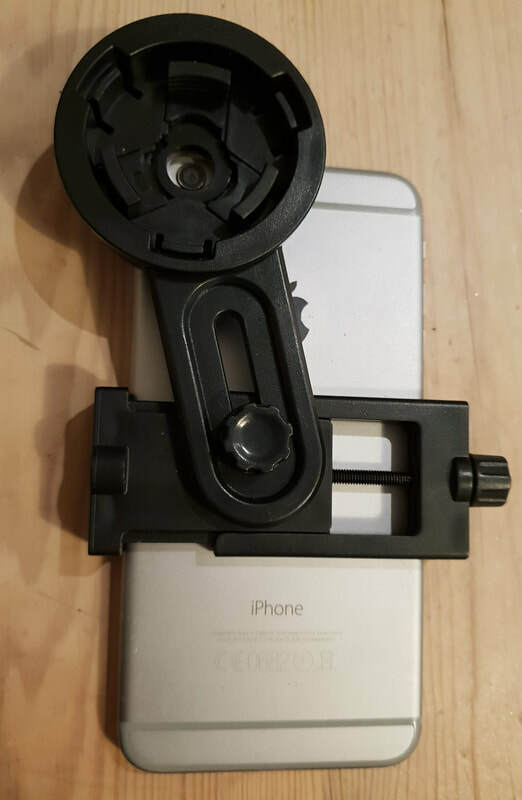 Positioning the phone relative to the eyepiece is achieved by adjusting its height in the clamp, and also by the movement of the phone clamp relative to the eyepiece clamp. 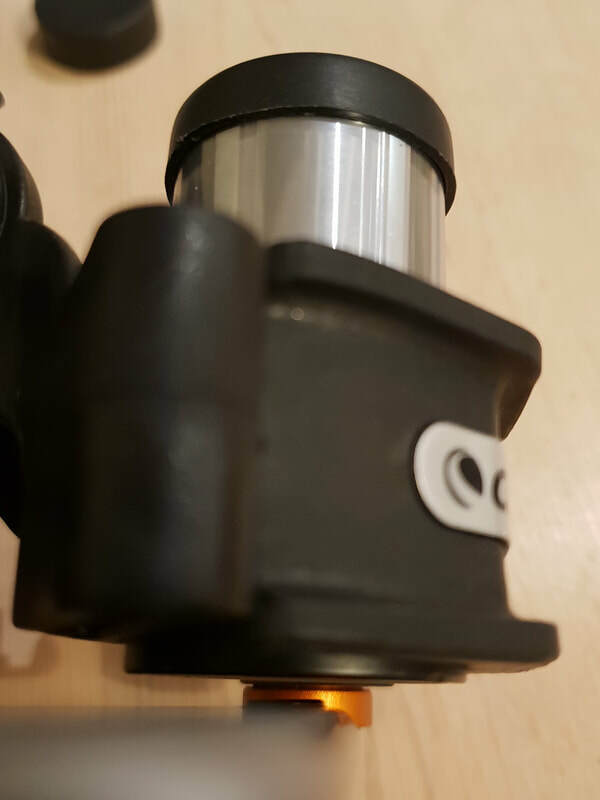 This is controlled by a locking nut which, when released, allows movement up down and rotationally. 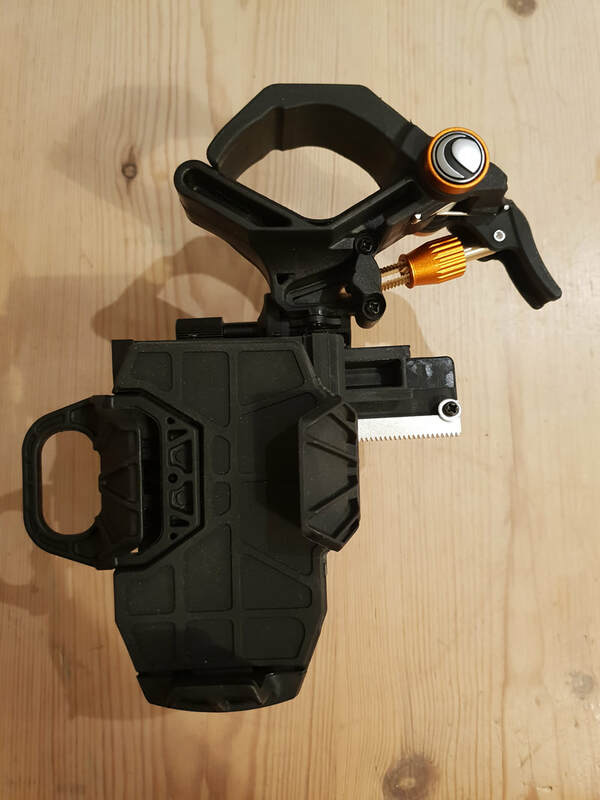 It is more fiddly than some of the other mounts but undoubtedly effective. 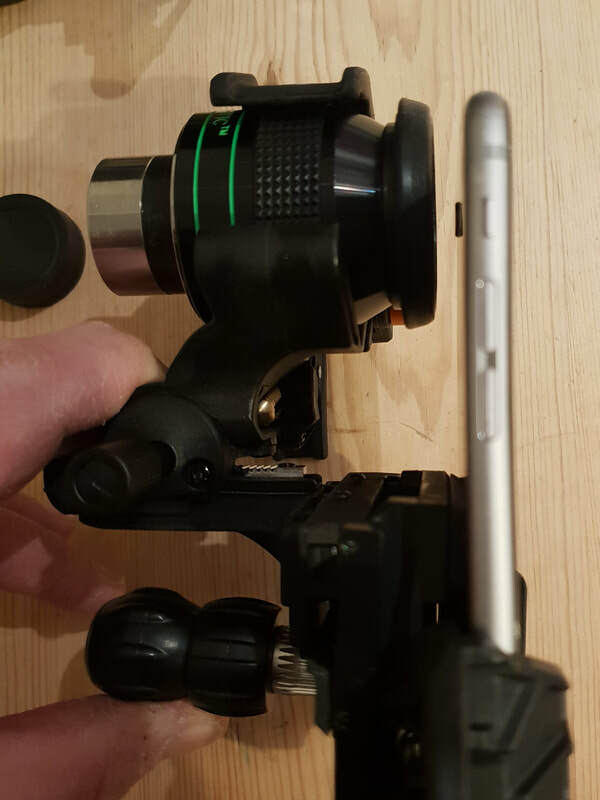 I even managed to align my iPhone 6 Plus successfully with the eyepiece. 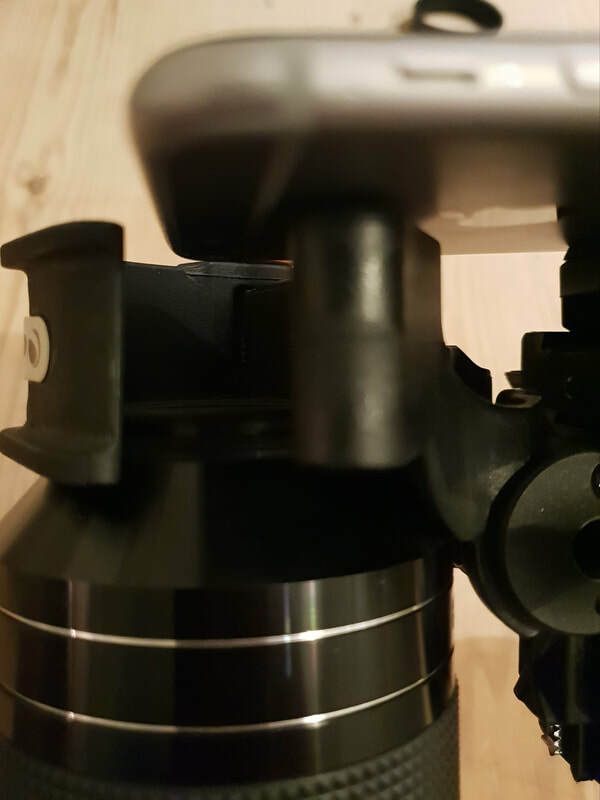 When everything is clamped down, it feels perfectly solid and stable and ironically didn't suffer from the lack of perpendicular alignment I saw with the Celestron NeXYZ. 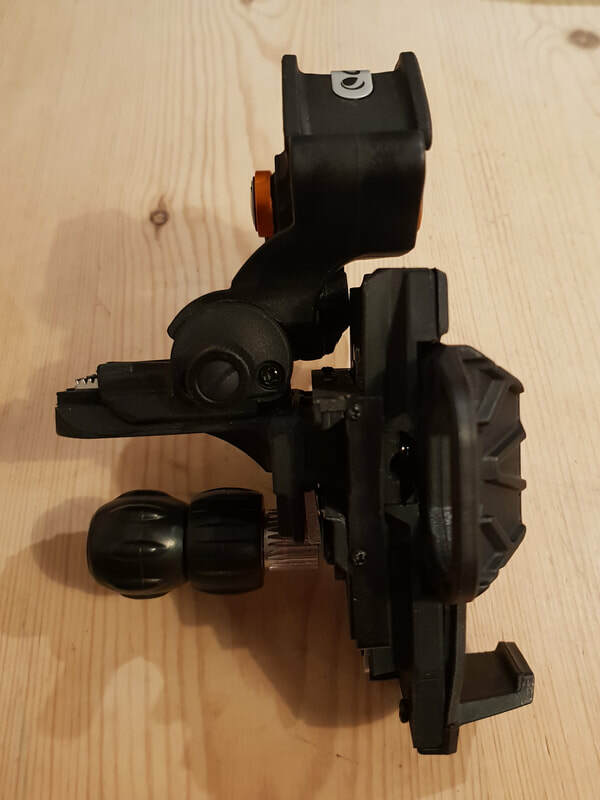 So, would I recommend such a cheap mount? Surprisingly yes. 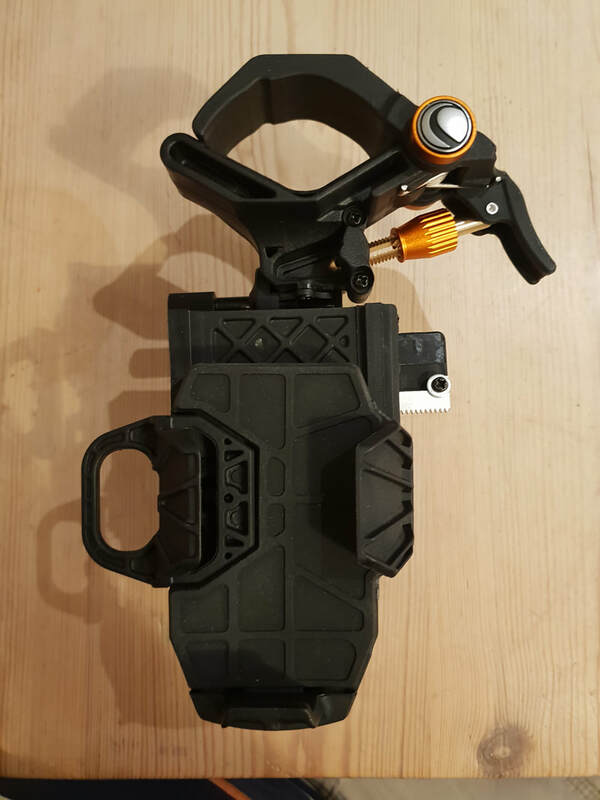 It appears to function very well; the eyepiece clamp is effective and the phone clamping mechanism whilst being a little fiddly still works well. At $12.99 it is a well worth a try to get going. ​Part 4 of 5.... short one this one. 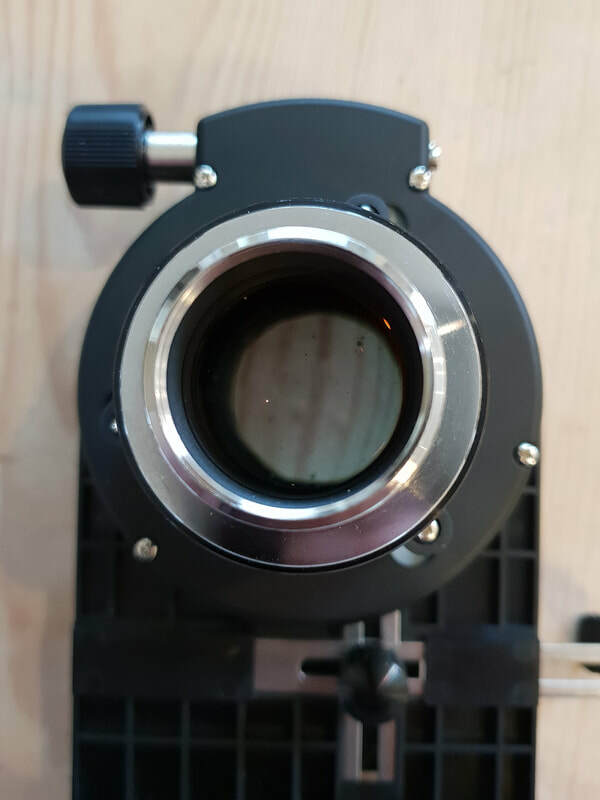 This is the Televue Fonemate, a variation of the Orion Steadypix but designed purely to fit on Televue eyepieces and then just the ones which are compatible with it as shown on this table in the final column. 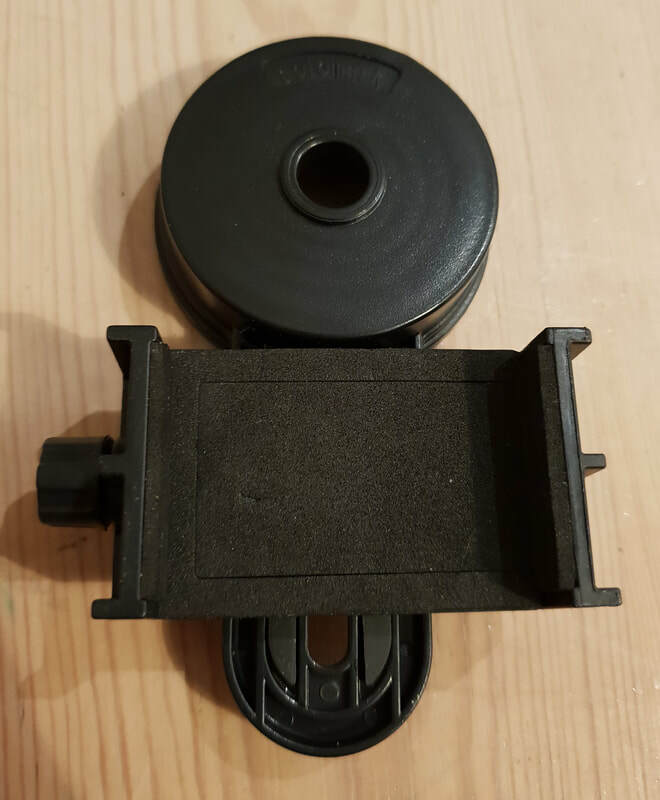 My 24mm Panoptic is listed as not compatible, but I bought the Dioptrix adapter for it and that allowed the Fonemate to attach. 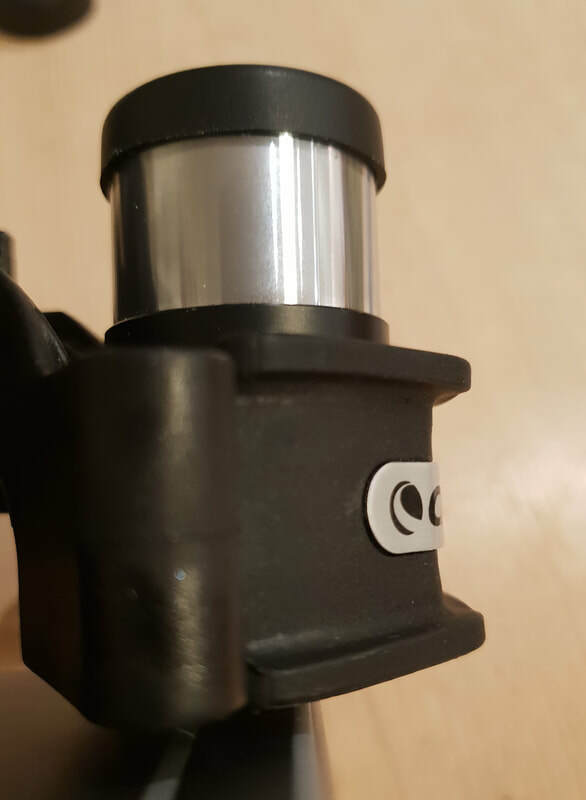 It is a very simple system, place the eyepiece in position then tighten down the locking ring and it is held perfectly centred. 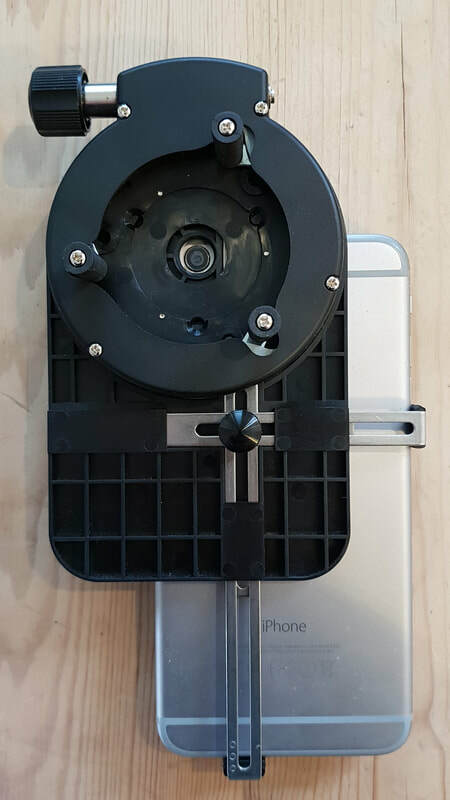 The phone holding mechanism is identical to the Orion Steadypix, so no explanation needed there really. 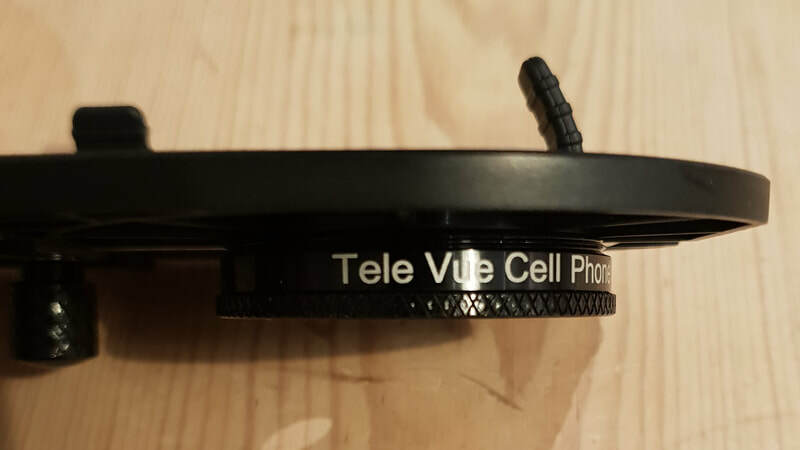 Like everything Televue it is expensive; I got mine for about 50% of retail off eBay and in mint condition. 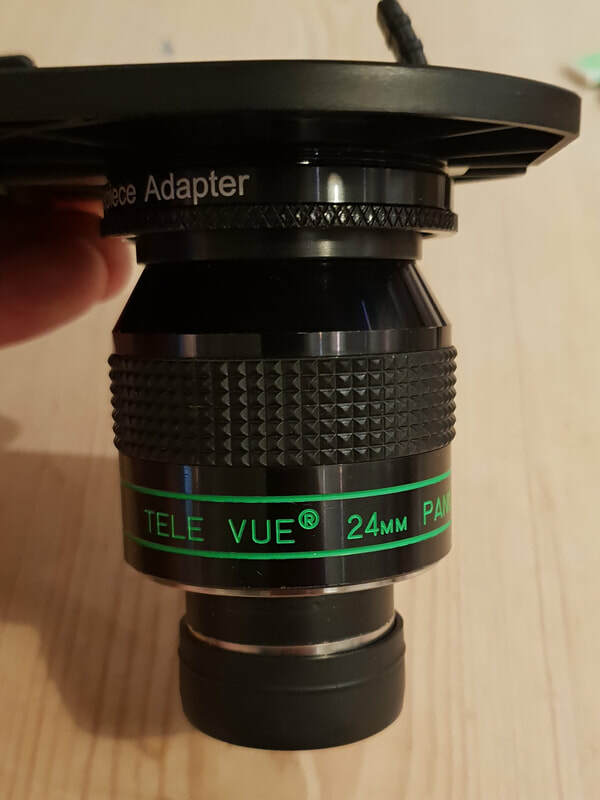 If you have Televue eyepieces then it is an excellent product, if not, or if you have a mix then others are better as this only fits Televue.